i've just started watching the bbc series sherlock and i feel that i'm already stuck! 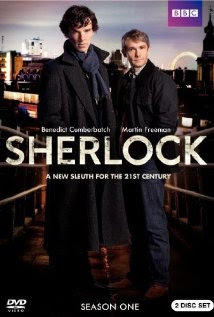 from what i've seen so far, it manages to capture the classic sherlock holmes spirit and bring it to the modern era. it carries the viewer over to modern london (a place that i really couldn't like more! ), plus the actors are brilliant. i strongly recommend it! Αναρτήθηκε από anna στις 7:59 μ.μ.